PEN America presents Jason Stanley and Timothy Snyder in conversation on the occasion of the publication of Stanley’s How Fascism Works: The Politics of Us and Them (Random House). Jelani Cobb will moderate a discussion on this critical debate playing out on a national and international scale on democracy vs. authoritarianism. Doors for this event will open at 6:30pm, the event will begin at 7pm. Jason Stanley is the Jacob Urowsky Professor of Philosophy at Yale University. Before coming to Yale in 2013, he was Distinguished Professor in the Department of Philosophy at Rutgers University. 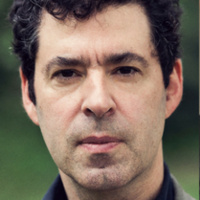 Stanley is the author of Know How, Languages in Context, and Knowledge and Practical Interests, which won the 2007 American Philosophical Association book prize; and How Propaganda Works, which won the 2016 PROSE Award for Philosophy from the Association of American Publishers. His first book, Knowledge and Practical Interests, won the American Philosophical Association Book Prize, awarded to one philosopher every year, for 2005-06. He is a frequent contributor The New York Times, The Washington Post, The Boston Review, and The Chronicle of Higher Education, among other publications. Stanley lives in New Haven, Connecticut, with his family. Presented in partnership with PEN America, the Milano School of Policy, Management, and Environment, the Office of Social Justice, and the Executive Dean's Office at the Schools of Public Engagement at The New School. A limited number free tickets for this event are available to New School students, faculty, staff, and alumni. Click here to reserve a ticket. $30 with book; $15 without book; free to New School students, faculty, staff and alumni by entering the code NEWSCHOOL via the top right button.